Hidden away in the heart of the Buckinghamshire countryside lies this wedgwood blue wedding inspiration. With exquisite interiors and decadent architecture as a backdrop, a regal theme was selected to influence every aspect. 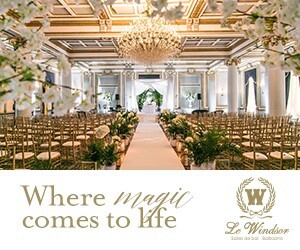 Pulling inspiration from the royal wedding last May, the scene epitomized extravagance with a traditional twist. An opulent tablescape was adorned with gilded antique-style candlesticks, statement place settings and an array of beautiful blooms including stunning orchids and an abundance of sumptuous roses. Meanwhile, at the irresistible sweet table, the grandeur continued with an elaborate eight-tier cake (inspired by French architecture), trio of mini cakes, geode macarons and cascading balloon arrangement.